Meet the Melbourne Shopping Experiences sleigh in Russell St in the city, behind Federation Square to start your shopping tour. The tour will take you to warehouses that you can't access normally, as well as some of our favourite outlets. Homewares, linen, toys, confectionary, leather goods, Christmas decorations and sporting outlets as well as anything else we can squeeze into our day. 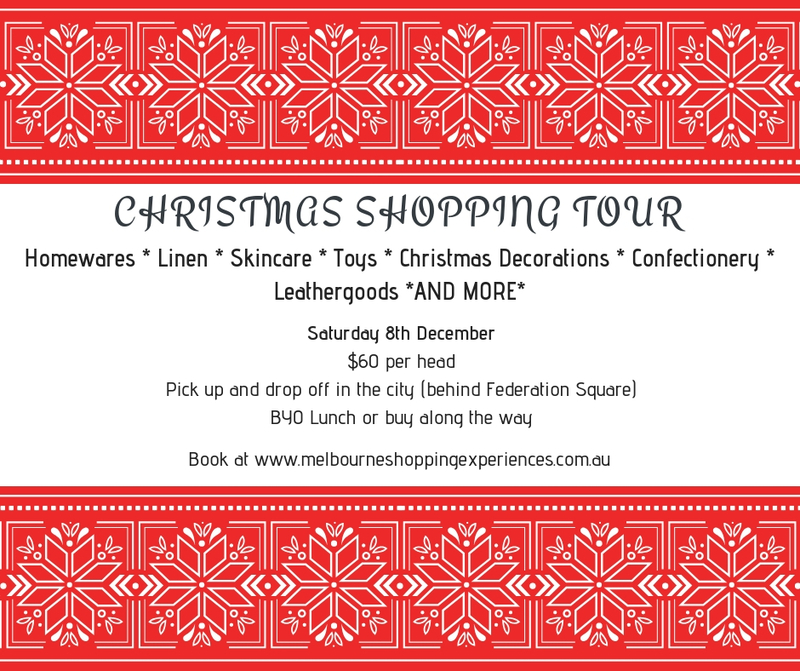 Get your Christmas shopping done without the hassle of navigating your way around Melbourne and finding parking. We'll drop you right at the door of the places with the best bargains and you can leave your shopping safe on the bus. BYO lunch or buy it at a café along the way.